An unexpected trench collapse can put your life in peril or end the life of a family member. Construction companies and general contractors must be held accountable for any injuries you suffer due to their negligence. At Kraft Davies, PLLC, in Seattle, Washington, we will aggressively represent you in a construction accident claim and protect your rights. It is every construction worker's right to work in a safe environment, free of hazards. When your employer falls short, you could be seriously hurt. Contact us at 206.624.8844. The high level of risk involved in working in a trench mandates that the general contractor take extra steps to ensure safety. 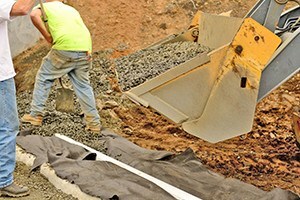 There are many ways to prevent a trench collapse from happening. Far too much is at stake if the earth collapses around you and your co-workers following a backhoe accident. Suffocation or inhalation of toxic fumes can cause serious injuries or death. At Kraft Davies, PLLC, we are detail-oriented in investigating your trench collapse claim. Your first step is to visit a physician immediately following the trench collapse to document the extent of your injuries and receive proper treatment from the outset. Not only is your physical well-being at stake following a trench collapse — your ability to file a valid claim of negligence based on the immediate medical findings can be jeopardized if you delay. For more information or to schedule an appointment with an experienced construction injury lawyer regarding a jobsite accident, please contact us or call 206.624.8844 for a free initial consultation.